I read recently that the 13th Wedding Anniversary symbol is lace. That's a difficult one to think about with regard to a present for a man but what about including it on your project? This week, I'd like you to be inspired by lace. 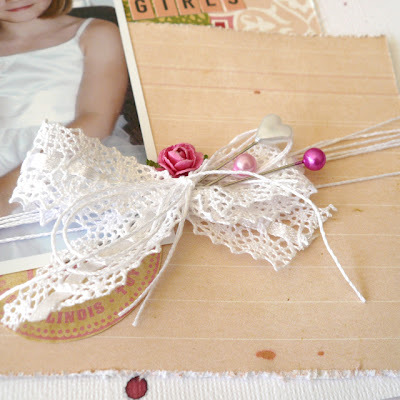 Back when I started scrapbooking, lace, ribbon and fibres were so popular to use and my layouts were unbelievably lumpy bumpy. I need to go back over some to slim them down but I really loved to use them all. Then, these items seemed to go out of fashion and my ribbon collection has reduced to just a handful of lengths which I often forget to use. 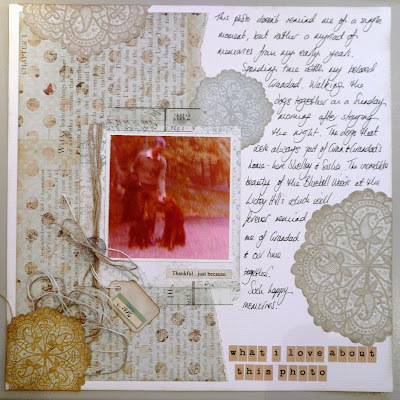 But here's a few layouts from way back which I might use to remind me how to use it on my project this week. 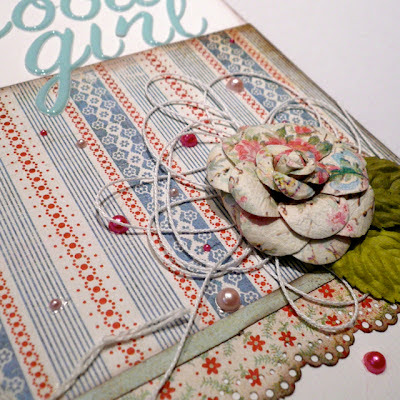 This layout features paper lace trimming - remember when that was popular? How about a lace border punch? I hope you will fish out your lace supplies and give this neglected supply a chance this week. 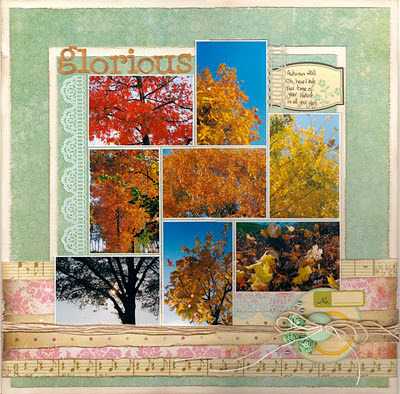 You can either upload your layout into the Whimsical Musings Flickr gallery with the tag WM#241 or you can post it in our Whimsical Musings Facebook group. We've decided that we'll save albums for special occasions so just load up your photo to the group with the tag WM#241 in the write up text so that we can find it.